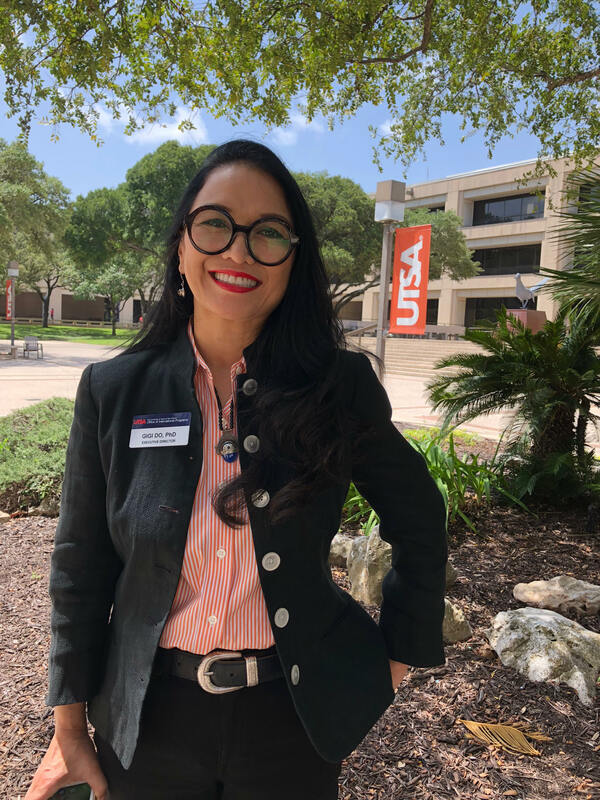 Department of Educational Leadership and Policy alumna Gigi Do (Ph.D., 2016) has been named the executive director of the University of Texas at San Antonio’s (UTSA) Office of International Programs. Do’s research delves into student financial aid, lenders, and their impact to students in higher education, and the history of African American college students’ access to higher education in Texas from the Post-Civil war era to the present. When she was accepted into the College of Education, Do said she had the difficult task of trying to juggle her professional, educational, and family life from across cities. Said Do, “I drove 72,000 miles from my home in Houston to Austin over the years to obtain my Ph.D. When I was accepted to the PHEL program, I was working full time in Houston, but I was not going to pass up this prestigious opportunity. I managed to drive to Austin three times a week during those years to complete my studies while working full time and having two young children,” said Do. “I couldn’t have done it without the wonderful encouragement from my chair and committee. Richard Reddick was my chair, and he was always pushing me to probe more for my research. Victor Saenz and Pat Somers were also on my committee, and not only were they brilliantly helpful, they always had solutions for me. I cannot say enough about my appreciation for my dissertation committee. I am proud of the fact that I refused to let distance keep me from accomplishing a Ph.D. from the University of Texas at Austin. This degree opened many opportunities for me,” said Do. Since graduating, she has worked at various universities to establish student enrollment in international communities through positions such as a consultant for Duke-National University of Singapore (NUS) Medical School to help Vietnam open their first international medical school in Hanoi. Of the training and research she did in her graduate program, she said learning about the history of higher education in the U.S. was helpful and fascinating.